On the way out the door! Love love love this costume! Best this year by far. One of a kind costume!!! Such a cute costume. Way to go Mom! Love his costume.. u did an amazing job.. 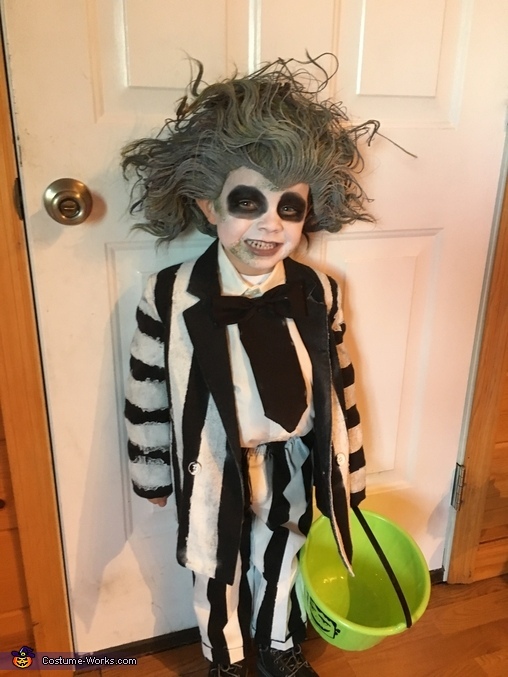 Wonderful job Brittany on his costume. Your very talented and he looks amazing. Love the costume! Great job. Love this costume! Cutest Beelejuice Ive ever seen!